I flipping love a good ruin, don't you? I also love hiking and film photography - if you like those things too then today's blog will be right up your street, or path or moorland, whatever - you're in the right place! 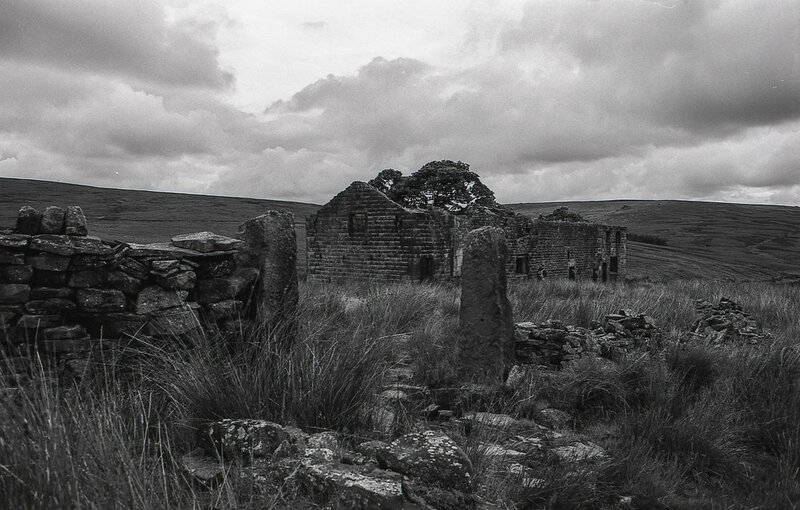 Raistrick Greave is an ancient derelict farmhouse atop Heptonstall Moor in West Yorkshire - these photos were taken on a walk in 2017 but the roll of film has been languishing in the fridge since then (i keep film in the fridge - it's a thing, honest) but no longer, the images have been awoken from their icy slumber to tell the tale of the haunted ruins of... RAISTRICK GREAVE!!! (que thunder sound effects and scary music)! Not only do I love a good ruin but I flipping love an open moorland too, the seemingly endless expanse of sky and undulating sea of grass - I can't resist the urge to stick my walking boots on and head for the horizon, which sounds like a really polite way of telling someone to bugger off doesn't it?! 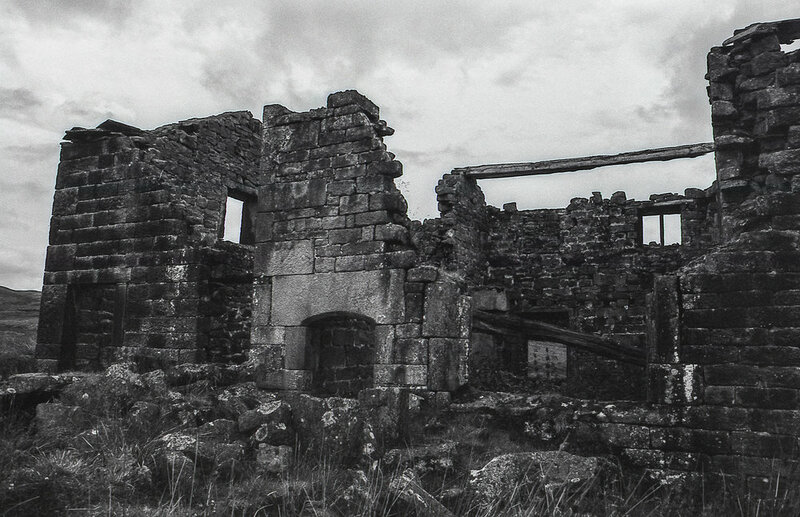 These photos were taken on one of my all to infrequent jaunts out into the wilds, on this occasion accompanied by my mate Dom who had discovered the ruined farm house on a previous walk and suggested we take a look. 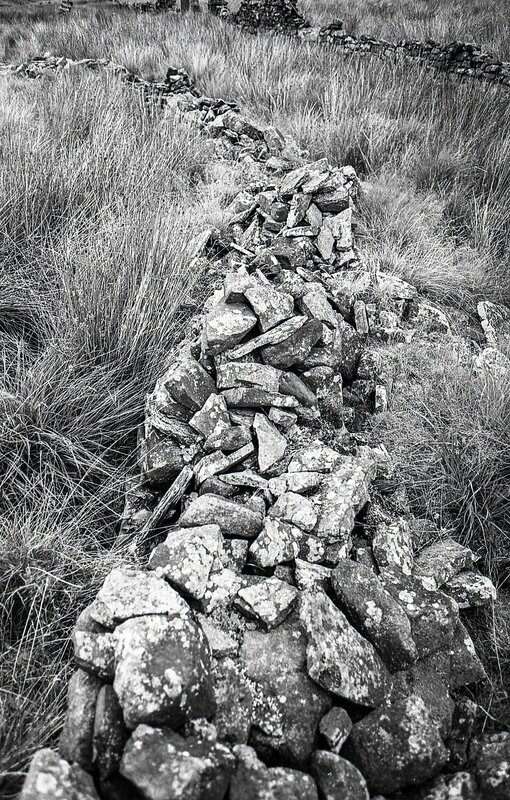 On the approach to the site the first traces of human occupation appear - the remains of rough stone walls sunken into the ground tracing the boundary of what must have once been grazing or even farm land but is now very definitely open moor - this just adds to the sense of dereliction and dissaray. It is difficult to obtain much detail about the history of the place except for it's name Rasitrick Greave and that it was (obviously) a farm house - when I say difficult to obtain I don't mean that the information is hidden away behind myriad booby traps in an Indiana Jones and the Temple of Doom kind of way, just that having spent, ooh... litreally minutes on google I couldn't find anything - anyway myself and my esteemed Colleague Mr. Dominic Ranson Esq reckoned it to be 17th Century ish and that's good enough for me - alternative suggestions are welcomed! I'm feeling far too reflective to bang on about the film gear used to create these images suffice it to say that they were shot on Rollei Retro 80S on my trusty Olympus OM2n and developed in Adonal which has once again prove itself to be a great means of creating images with contrast, depth and sharpness. If you've enjoyed reading my latest blog sign up with your email address to receive news and updates. We respect your privacy. I 100% promise I won't share your details with anyone else!